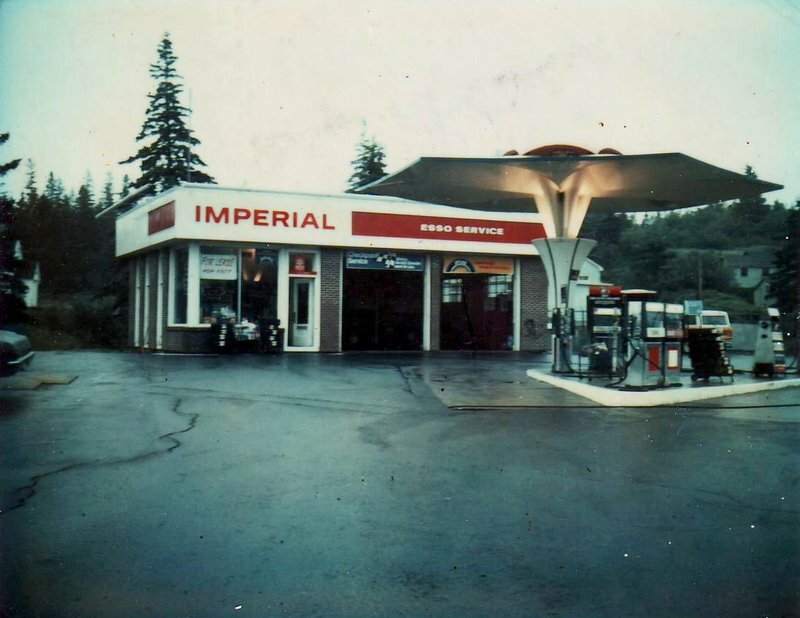 A photo of John Otto's Esso that he operated in Beechville, Nova Scotia, Canada, from 1962 to 1978. Click on the photo for more photos of this station. Submitted by Cliff Otto, John's son. 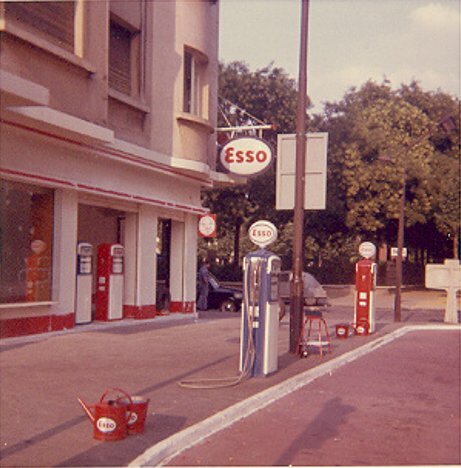 An Esso curbside station in Paris, France. Taken in 1964 by Walt Wimer. 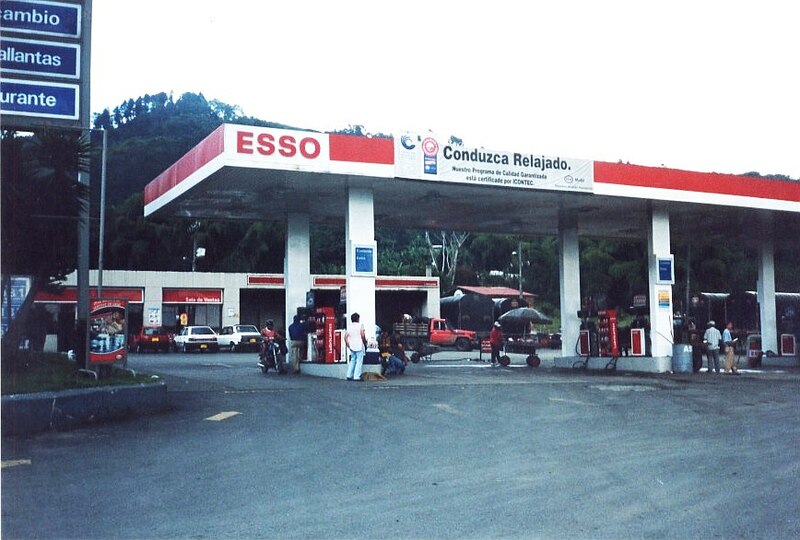 An Esso station with convenience store in Pereira, Colombia. 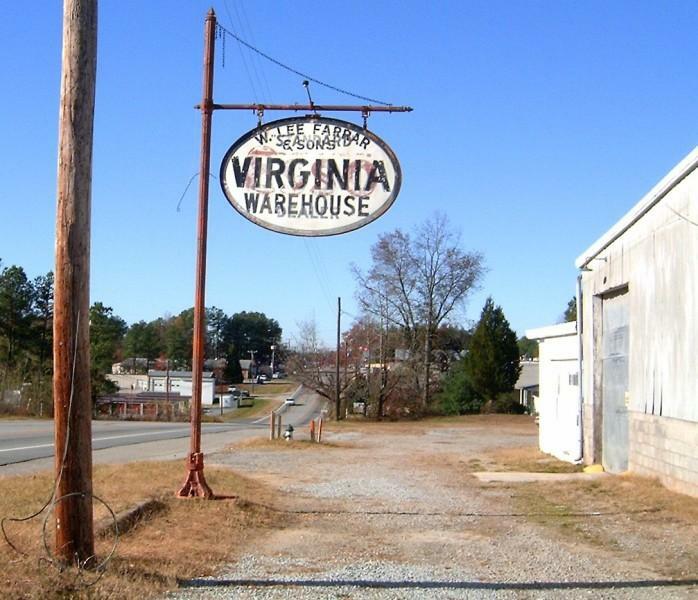 Located on the east side of the city on the main highway. Taken in Dec. 2004 by Francia Moncada Mejia. Submitted by J. Eric Freedner. 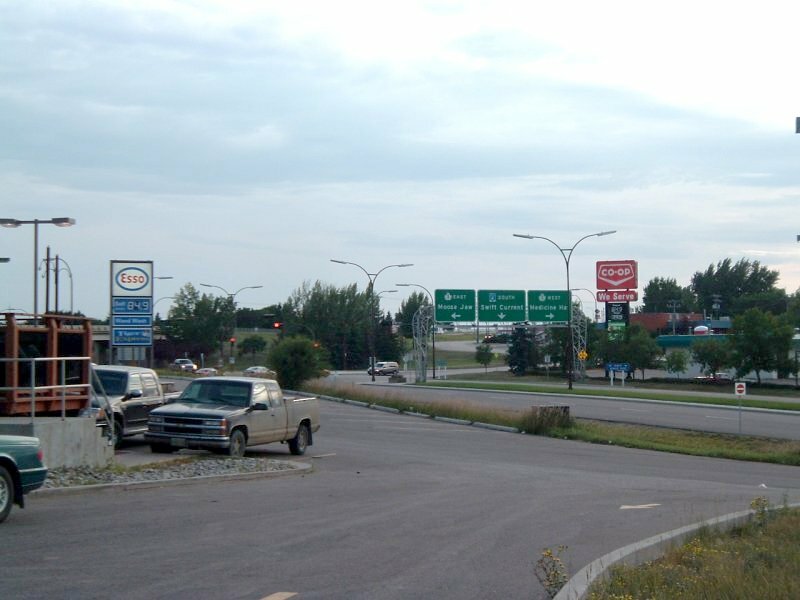 and the Trans-Canada Highway #1 in Swift Current, Saskatchewan. Taken August 21, 2004 by Travis Meginbir. 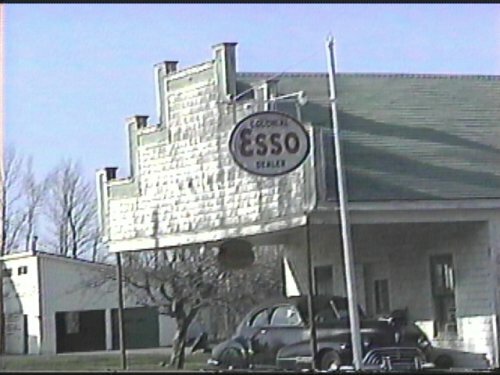 Possibly an old Esso but not sure. 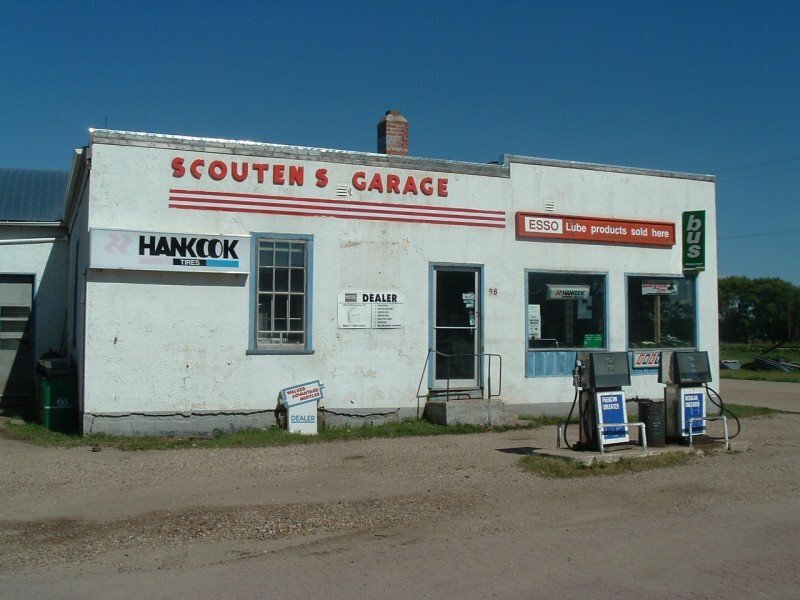 Located on Main Street, Benito, Manitoba, Canada. Taken July 2004 by Travis Meginbir. A restored Esso station and Studebaker Dealership, Mena, Arkansas. 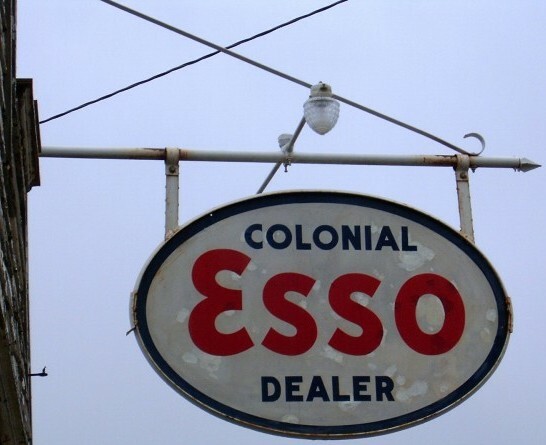 Here's a picture of an old Esso sign on US 1 in Waite, Maine. 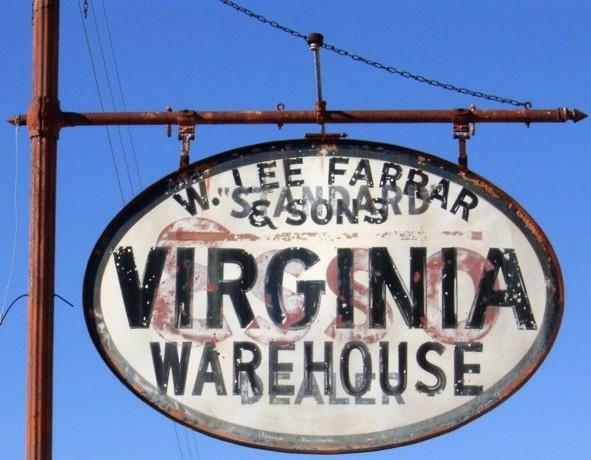 taken in May of 2003 by J.P Kirby. 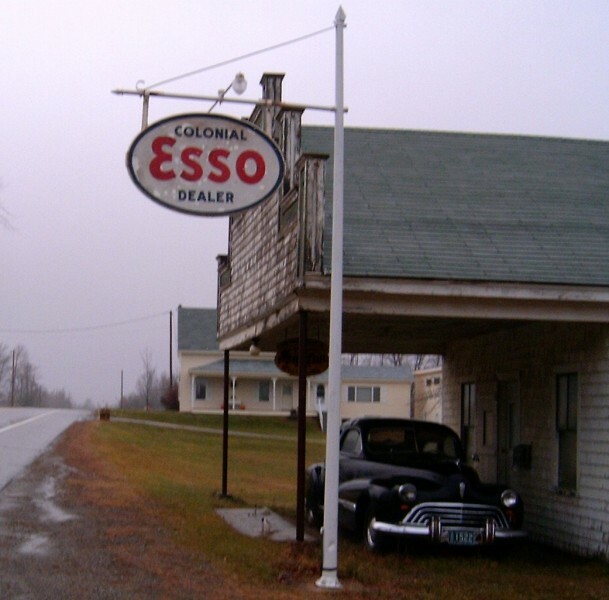 Two more photos of the above Colonial Esso in Waite, Maine. Taken in Nov. 2003 by Robert Droz. 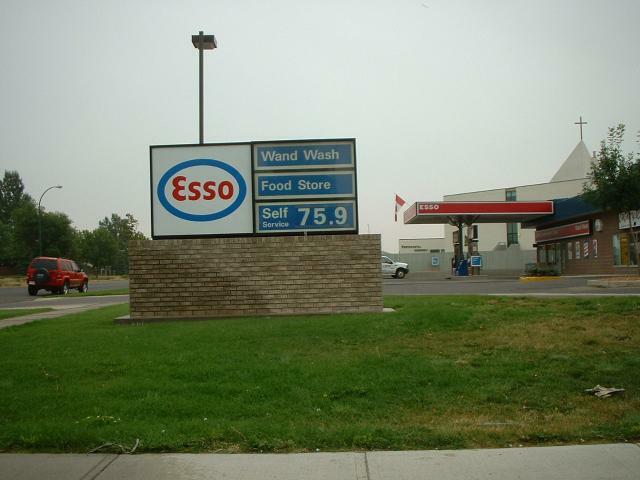 Esso sign, Lethbridge, Alberta, Canada. Taken August 2003 by Chris Spearman. 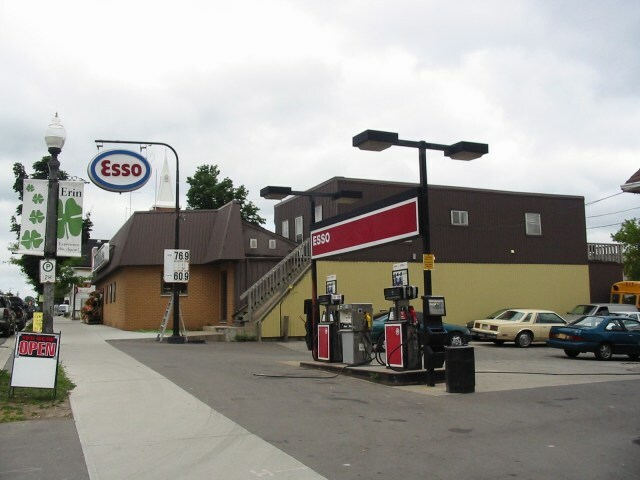 Esso in Erin, Ontario, Canada. Taken Sept. 3, 2003 by Andy Songal. 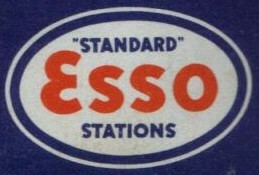 once advertised for a "Standard" Esso Dealer. Taken Nov. 3, 2003 by Robert Droz. A 1934 Standard of New Jersey logo from Robert Droz. 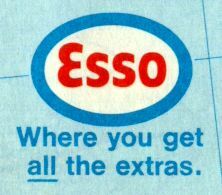 An Australian Esso map from the early 1960s.